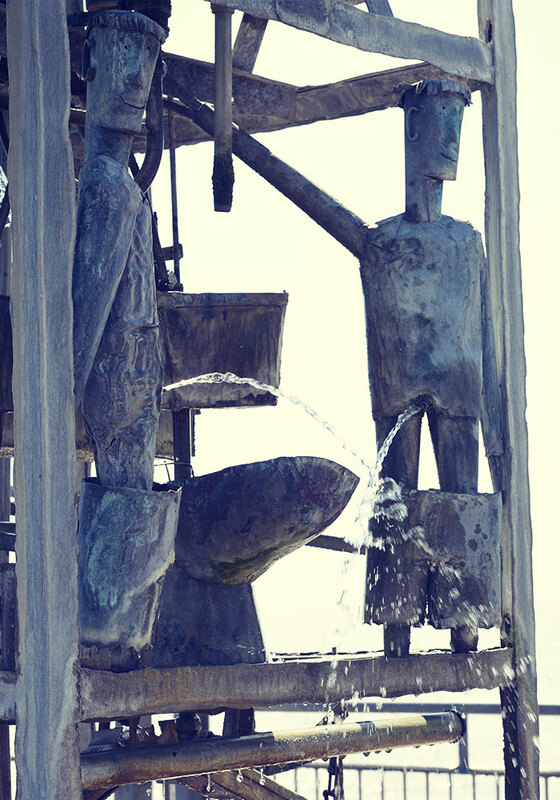 Brussels is famous for the Manneken Pis, but Southwold has raised the stakes! 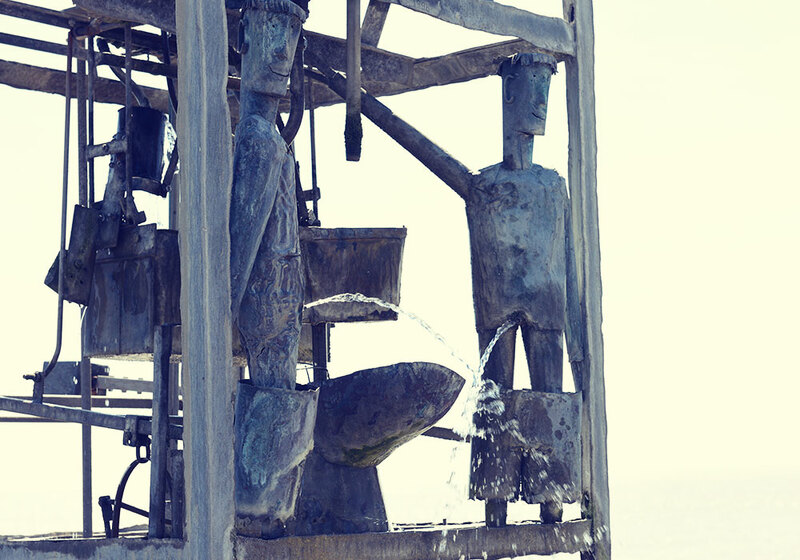 The Pier houses two of his peeing peers – a pair of piddlers who perform punctually* every half hour. 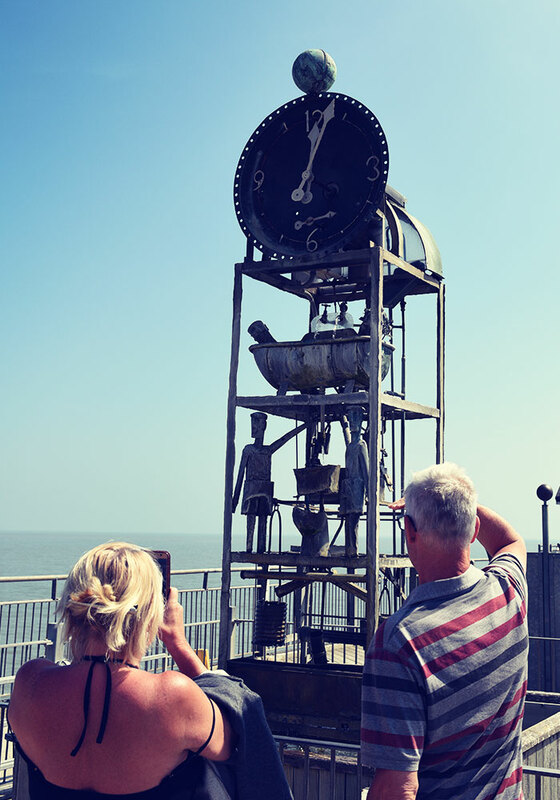 The cheeky sculpture was made in 1998 by eccentric talents Tim Hunkin and Will Jackson, in three weeks and to an impossibly tight budget. Designed as a feature about water recycling, water is pumped up to the top of the clock from the well below and goes on to power the half hourly pee-show. Continuing the recycling theme, all the copper on the Water Clock was salvaged from old hot water cylinders. 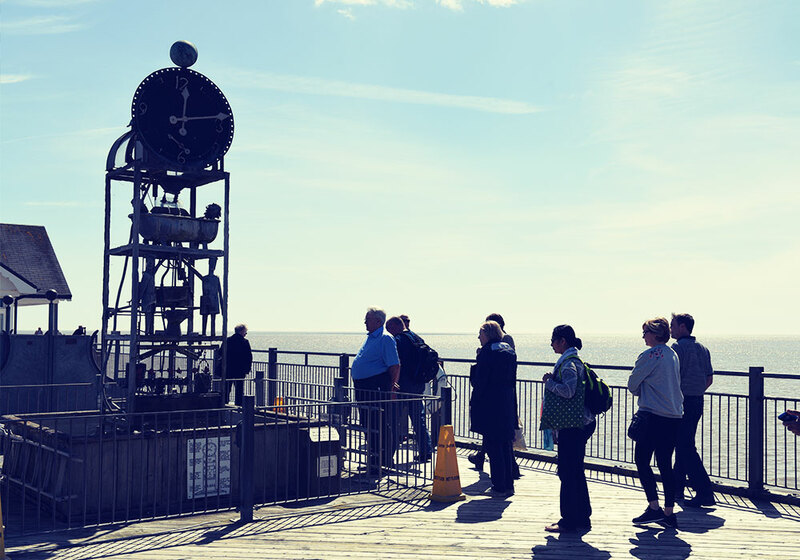 It’s one of our most popular sights and never fails to raise a smile!